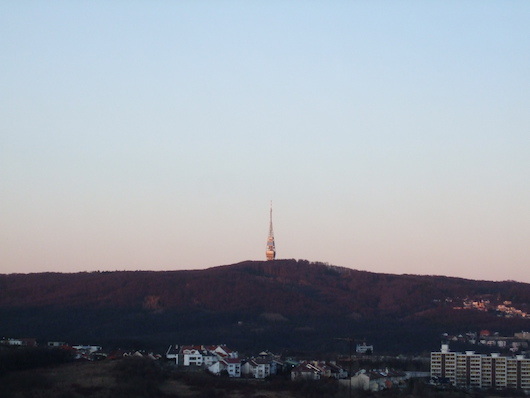 Kamzik is a hill right above the city of Bratislava, and is in the same general preserve as the Železná Studnička urban forest. It’s a popular spot for visitors, with great views from the TV Tower at the summit. From the summit, there are numerous trails for hiking and running that branch off in multiple directions. There’s an excellent variety, including flatter ridge-top type trails, paths through meadows, and more challenging, hilly trail running. One can drive to the summit, hike to it, or take a ski lift! There’s easy access from the city center. Our recommended running options below. This link has a good descriptive guide of the trails. Excellent variety of running options from the summit, from trails through meadows, flatter or hilly roads, and more wooded paths. There is a marked road with distance markets. You can also run up to the summit, on roads or trails, including a steeper climb right under the ski lift. Challenging! Take yellow trail heading west from Hotel West. 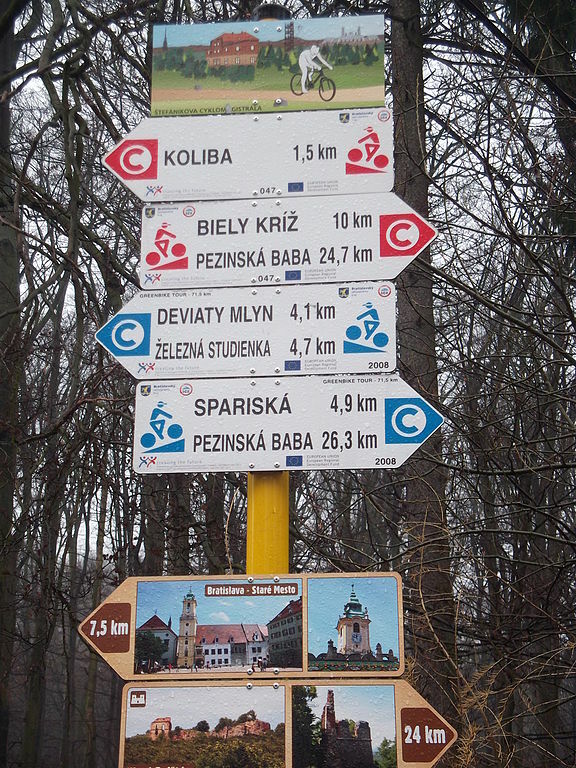 Popular trail for hiking, running, and mountain biking, and very scenic. Although we haven’t been able to find a good digital trail map, there are billboards throughout the area with information on the trails, and the trails themselves are very well way-marked — even for specific activities. Note: might be snow covered in winter (and used for skiing).